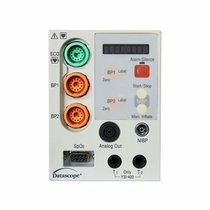 GE Datex-Ohmeda E-BIS EEG Module - UMDX2800 Precio: 1294.99 Refurbished and ready for patient use, one GE Datex-Ohmeda E-BIS EEG Module. This unit has been tested, refurbished, and cleaned by our trained technicians and is backed by our 12 month warranty! Please contact us with any questions that you may have!